Divider aims to bring the benefits of masternode & POS cryptocurrencies to the mainstream by offering a easy way to invest and do all the work for them. Divider invests in quality masternode and POS crypto projects with a high return of investment (ROI) expectation. The masternodes and staking activities are run on a server infrastructure owned by Divider. Revenue from this is shared with holders of the Divider token. Holders of the Divider token benefits from different masternode and POS projects without high investments and difficult implementation and maintenance. Master nodes are a trending topic in the world of cryptocurrencies. This was pioneered by the Dash cryptocurrency, but more and more new cryptocurrencies are using this technique. Master nodes are nodes in the currencies network that fulfill a specific function beyond simply relaying transactions like the InstantSend and PrivateSend. Existing and upcoming cryptocurrencies are also planning to use master nodes to host decentralized apps amongst other things. Since master nodes fulfill special functions for a cryptocurrencies network but do cost money and effort to operate, they are incentivized by gaining a share of the block rewards in their respective cryptocurrency. 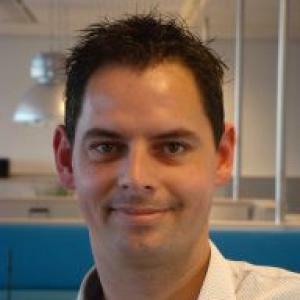 Another trending technique is called Proof of Stake (POS). Proof-of-Stake is executed by miners who put a number of their coins on a block to check transaction blocks. The miner is chosen deterministically by the algorithm based on the number of coins he owns, for a long time he owns them, and other factors based on how the algorithm is structured. The coins are also created at the beginning and their number never changes, and when it forges a block, miners earn from fees of all transactions written in the block. You just have to prove that you have got a certain percentage of all available currencies of a determined cryptocurrency, and in return, you will receive commissions. Divider is the world’s first token backed by the master node and Proof of Stake (POS) cryptocurrencies. 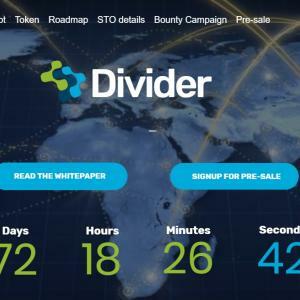 Holders of the Divider token will share the profits generated by the master node and POS cryptocurrencies invested and maintained by Divider. Divider will not use any pools but will invest and maintain its own complete master node(s) in a variety of quality projects. Transparency is the keyword for Divider. A web-based portal for token holders will be developed to provide (almost) real-time insight in all master nodes statistics, earnings, staking, trading and (re)investing activities by Divider.